After saving Lord Dominie Horin from the attentions of the evil and powerful witch, Prioress Lizaveta, Mage Questor Grimm Afelnor finds himself elevated to the Seventh Rank and the head of a secret Quest to eliminate the influence of her pernicious cult.The mission becomes difficult as Grimm finds his magical aides are a sarcastic dandy (who happens to be Lizaveta's resentful grandson) and a cowardly Necromancer (who would prefer to sing than cast magic). The difficulties compound themselves as Grimm finds himself in an unwitting mental struggle for supremacy with the man he trusts above all others.After being freed by a mutiny about which he knows nothing, all Grimm has to do is destroy a gladiatorial slavemaster and a ruthless businessman after battling hundreds of mindless fighting drones trained to the peak of physical perfection. And the Quest has only just begun. 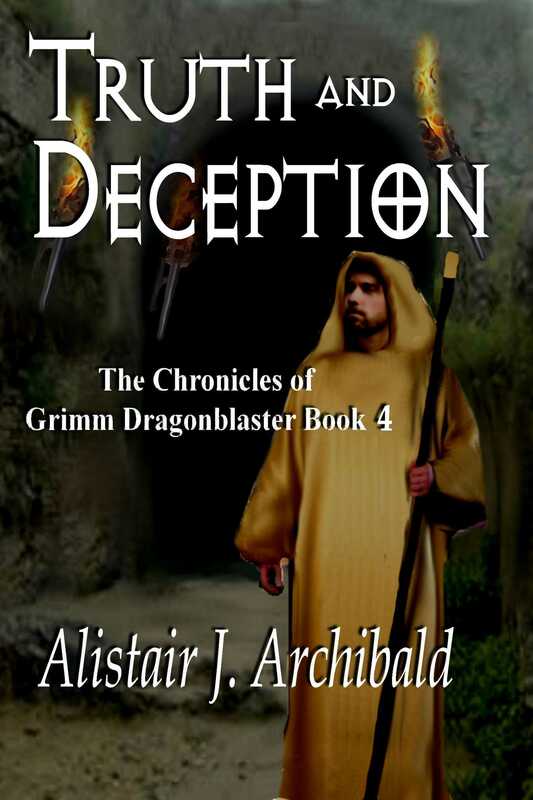 Read the entire Best-Selling series from master Fantasy writer Alastair J Archibald... A MAGE IN THE MAKING [The Chronicles of Grimm Dragonblaster Book 1] WEAPON OF THE GUILD [The Chronicles of Grimm Dragonblaster Book 2] QUESTOR [The Chronicles of Grimm Dragonblaster Book 3] TRUTH AND DECEPTION [The Chronicles of Grimm Dragonblaster Book 4] DRAGONBLASTER [The Chronicles of Grimm Dragonblaster Book 5] THE DARK PRIORY [The Chronicles of Grimm Dragonblaster Book 6] and coming in March 2013, the seventh and final thrilling book, RESOLUTION [The Chronicles of Grimm Dragonblaster Book 7].